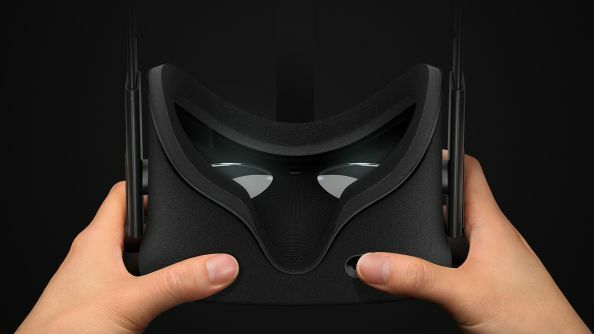 Oculus Rift has left the pre-release stage and is now a fully fledged product. Well, sort’ve. While commercial users are starting to get their hands on kits – the first delivered by CEO Palmer Luckey himself – some “component shortage” issues have caused big delays. These are affecting customers across the spectrum, from anyone who decides to pick one up now having to wait until August to those who pre-ordered within an hour of it going live getting delays into May or June. As an apology, Oculus are covering the cost of shipping for all delayed orders. If future tech has failed you again, try the old reliable best PC games. The reports started coming in via a Reddit thread yesterday with lots of people still posting reports of delays and confirming that late April to May is now the earliest estimate anyone has. Asked by The Verge for comment on the matter, Oculus didn’t answer any specific questions but did issue this statement. It’s an interesting situation. Untested technology doesn’t usually oversell like this unless it’s stunningly popular. Even with production problems and shipping issues, Oculus being in a position where sending out kits every single day isn’t enough to fulfil demand is very good for them – especially when you consider the strength of their competition. The vast majority of PC gamers have an application installed on their computer that is, every day, telling them to get a Vive and they’re still outstripping Oculus’ expected numbers. What’s not so great is that first impressions are going to last a long, long time for VR. Delays are bad but now, when the kits arrive, if they’re not everything those users dreamed of they’re going to be even angrier. On the bright side, they should be able to skip the low-games, high-issues early days that are inevitably going to follow. But, well, if the wide release was going to be delayed this much anyway, Oculus would probably have been better off letting their developers have a few more months working out the kinks and then getting a big blowout in June or July. Of course, Valve/HTC and the industry at large (E3 looms on the horizon like a massive, trailer-fed beast) might have had something to say about that. If you’ve pre-ordered an Oculus or any VR tech, let us know why and when you’re getting it in the comments. We’re intrigued to see how much of the general populace has gone in.